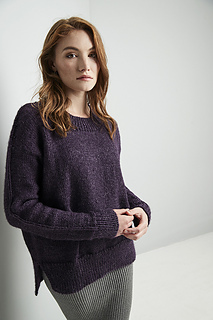 A basic round neck, long sleeve sweater knitted in stocking stitch with rib details. 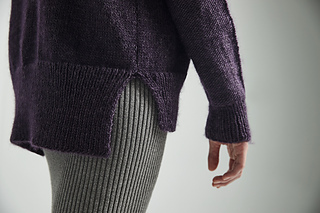 The sleeves are worked in reverse stocking stitch with a raised knit stitch in the centre. 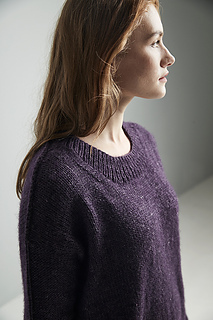 The front hem is shaped and is shorter than the back hem.